Rate this Article Pop quiz! How many common types of solitaire can you list straight off your mind? Well, if you’re stuck right after Spider Solitaire, then you’ll definitely want to read on! There are hundreds of known variations of solitaire in this world. In fact, the BVS Solitaire Collection, a collection that’s known for its solitaire game variety, has around 499 different variations… and that’s the lowball number in comparison to the total number of variations available, especially if you decide to include solitaire games that don’t use the standard 52-card deck. Beating all the other types of solitaire by a mile and maybe even more, Klondike is a hugely popular solitaire game that is played around the world. Known as “Patience” in the UK, this game became popular when the gold rush happened in Klondike, Canada – yes, that’s an actual location – and the game was made popular by the gold prospectors back then. Guess sifting dirt for gold day in and out can end up being quite boring! Anyway, this mode of solitaire quickly spread across to North Americans and had grown in popularity since! Currently, the game has several variations including a Tarot-version which uses a 78-card deck. 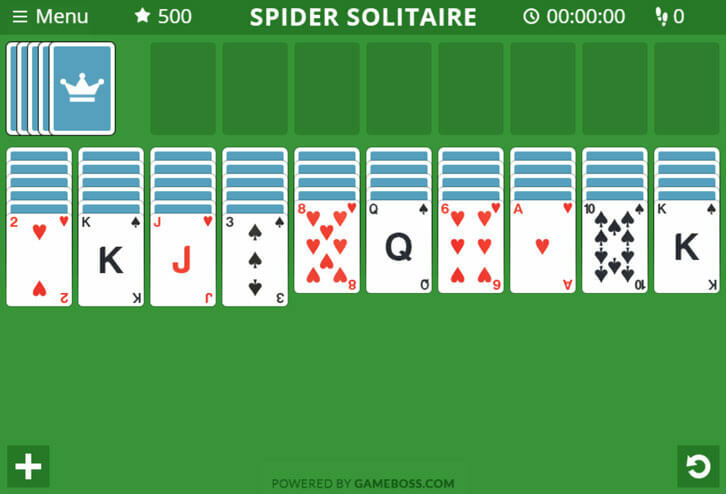 Popularized by Windows since 1995, Spider Solitaire is a casual and fun solitaire game that’s best suited for players of all ages mainly because its difficulty level can be easily adjusted simply by deciding how many decks to include. A one-deck spider solitaire game can be rather quickly completed within minutes while a two-, three- or even four-deck spider solitaire will take a lot more time to play. The default number of decks used is usually two though. Similar to Klondike, Spider solitaire has several variations depending on the number of decks used and the starting card layout. 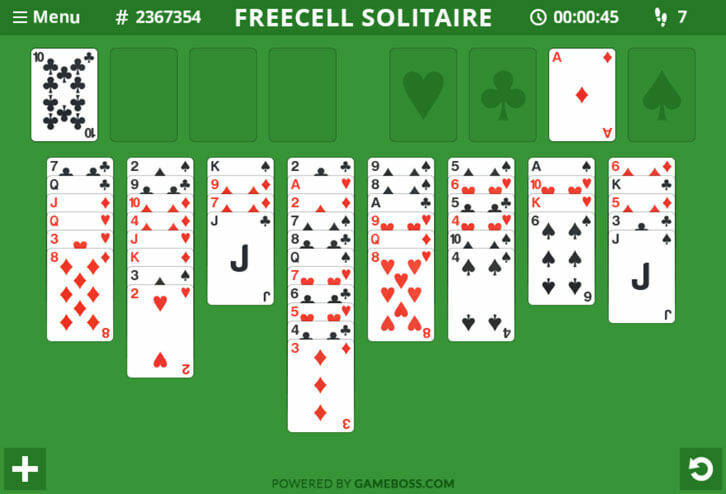 A personal favorite of mine (After I’ve learned how to play it, that is), Freecell solitaire is very unlike most solitaire games. 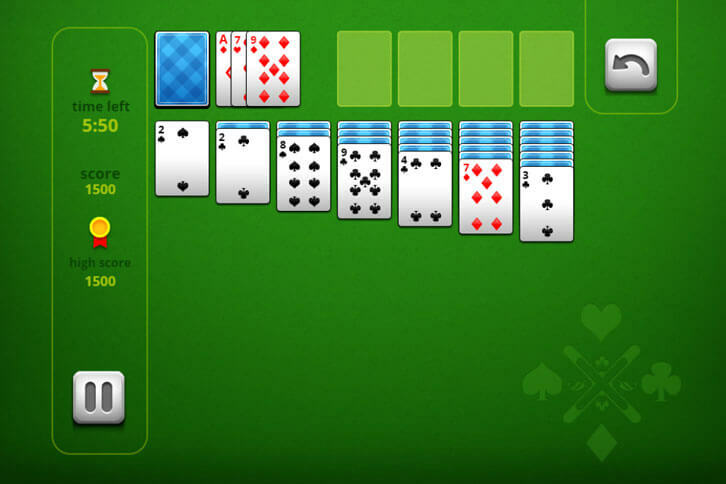 For instance, all its cards are dealt face-up and there are open cells where you can reserve cards. Not to mention, if you do everything right, it’s very rare to encounter a game that’s impossible to solve. The odds of getting an unsolvable one is literally 8 out of a million – that’s just 0.0008%! Compare that with the percentage of unsolvable games for other types of solitaire games, which is between a whopping 10 to 30% (rough estimate but you get the idea). But of course, this also means that if you can’t seem to solve a Freecell game, then it’s likely you’re doing something wrong – there’s no blaming the computer-generated game at this point! 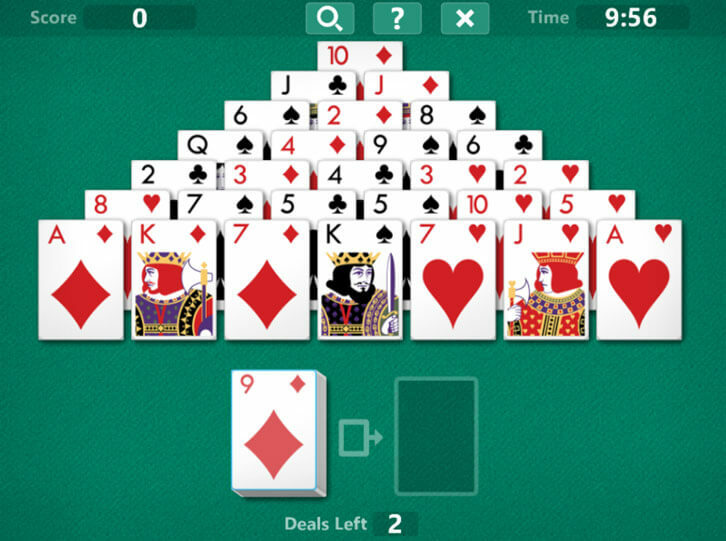 Similar to Spider Solitaire, this solitaire variation was greatly popularized by Windows as it was included as part of its free entertainment package. Unlike Spider or Freecell solitaire, Tripeaks is not included in the default entertainment pack and is instead included in Microsoft’s subsequent Entertainment Packs (there are 4 packs in total), which includes other games like WordZap, Fuji Golf, and TicTactics. This might explain why the game isn’t as popular as the previous two games, but it has earned its place in the spotlight nevertheless by being such a joy to play! Being the descendant of another Windows’ card game, Tut’s Tomb, Pyramid Solitaire is very similar to Tripeaks in terms of its layout – you just need to take out the other two “peaks” and add all those extra cards to the main triangle, a.k.a. the Pyramid. However, in terms of its gameplay, these two games are quite different. 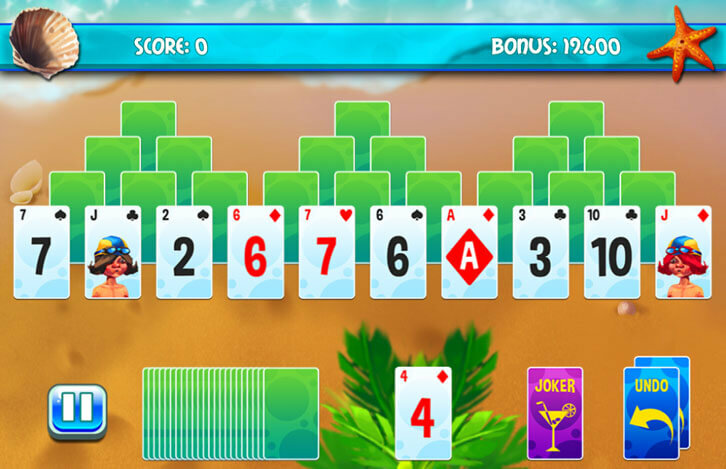 In both games, the numeric value of each card is considered but as opposed to simply stacking the cards in order of their value (one value higher or lower) as in Tripeaks, Pyramid solitaire requires its players to add the value of the card in hand and the card in the playing area instead. If the total value is 13, then both cards can be removed. The game is won after all the cards are cleared from the table and the stock/deck, though certain variations are more lenient, allowing you to win simply by clearing the cards from the playing area.